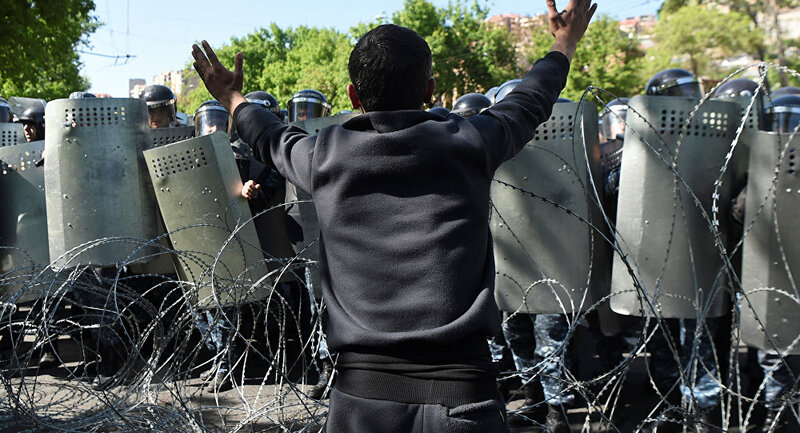 YEREVAN (Sputnik) - The Armenian police special unit is trying to make its way through the central streets of Yerevan which have been blocked by anti-government protesters, a Sputnik correspondent reported Tuesday. The participants of rallies against Armenian ex-President Serzh Sargsyan's candidacy for the post of prime minister started to block the central streets late on Monday. On Saturday, Armenia's ruling Republican Party nominated Sargsyan for the post of prime minister. On Monday morning, protesters blocked bridges, streets and underground stations protesting Sargsyan's candidacy. The parliament is expected to vote on the issue later in the day. Leader of the opposition "Way Out" (Yelq) Alliance, Nikol Pashinyan called on the protesters to block the streets leading to the country's parliament. Sargsyan, who served as the Armenian president since 2008, had to step down due to presidential term limits. 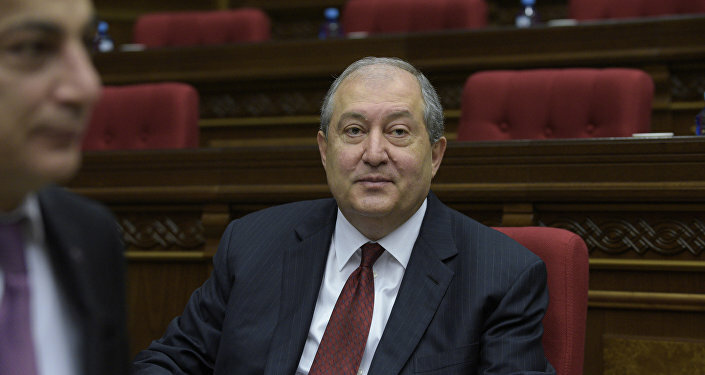 Armen Sarkisian was inaugurated as the new president on April 9 and became the first Armenian head of state who was elected by the parliament since the country switched from a presidential to a parliamentary system of government. Sargsyan's nomination for prime minister is largely regarded as an attempt to stay in power, since the newly amended constitution transferred some of the presidential powers to the head of the government.